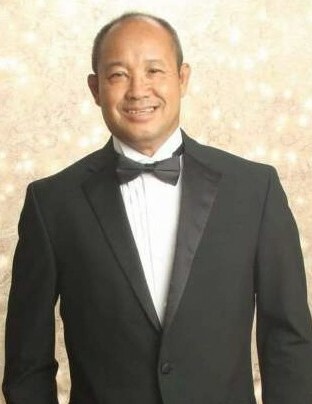 Fort Worth~ Jose Panyanouvong, 57, a business owner of a welding company of 15 years and a family man, went to be with our Lord Friday, January 11, 2019 in Fort Worth, Texas. Funeral Service is 1:00 p.m. Saturday January 19, 2019 at the Hawkins Family Funeral Home Chapel in Fort Worth. Family will receive friends 6-8 p.m. Friday at Hawkins Family Funeral Home Fort Worth. Pallbearers for the service will be William Phongdara, Jimmy Phongdara, Andy Mirivong, Binh Le, Danny Blankenship and Keidren Do. Jose was born on September 3, 1961 to Vanna and Changthong Panyanouvong in Vientiane, Laos. He was united in marriage to Boualoi Phanthavong in May of 1982 in Houston, Texas. He was a very loving and caring person who cared very much about his family and worked hard to take care of them and provide for them in many ways. He always made sure they had what they needed and taught them to be the person they want to be and care for others as he has cared for them throughout his life. His family and friends were everything to him and he enjoyed the work he provided for companies and how it helped every one of them in their own way. He was proceeded in death by his Mother Changthong Panyanouvong. Those left behind to cherish his memory are his wife of 36 years Boualoi of Fort Worth; His daughters Christina Panyanouvong of San Jose, California, Malysa Le and husband Binh of Fort Worth; His grandchildren Kaily Do, Keidren Do, Addyson Le and Lyncoln Le; His sister Sengtavanh Blankenship and husband Kirk, their kids angel and Danny of Fort Worth; His two brothers and two sisters in Vientiane, Laos; His father Vanna Panyanouvong of Vientiane, Laos and numerous nieces, nephews, extended family and a host of friends.